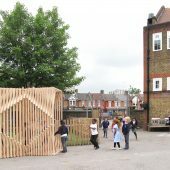 A tunnel structure has been added to a North London Primary School by a team of first-year architecture students from Kingston University, led by tutors George Dawes and Amalia Skoufoglou. 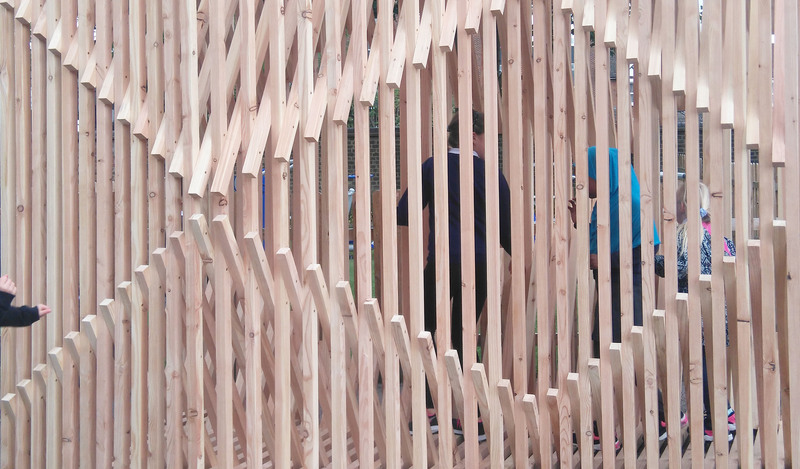 The students had previously installed the structure as part of their academic curriculum in the Kingston campus entrance area. 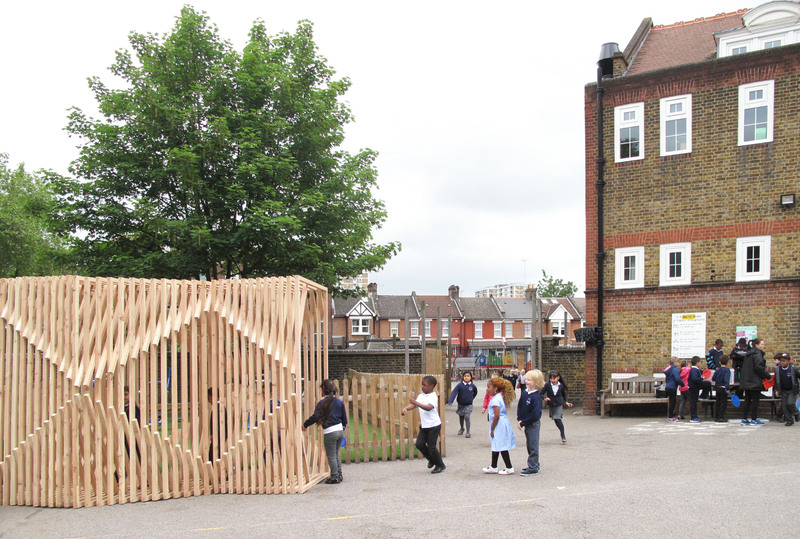 It was there that the primary school’s art teacher spotted it and commissioned it to be re-built as a permanent fixture to the school’s playground. 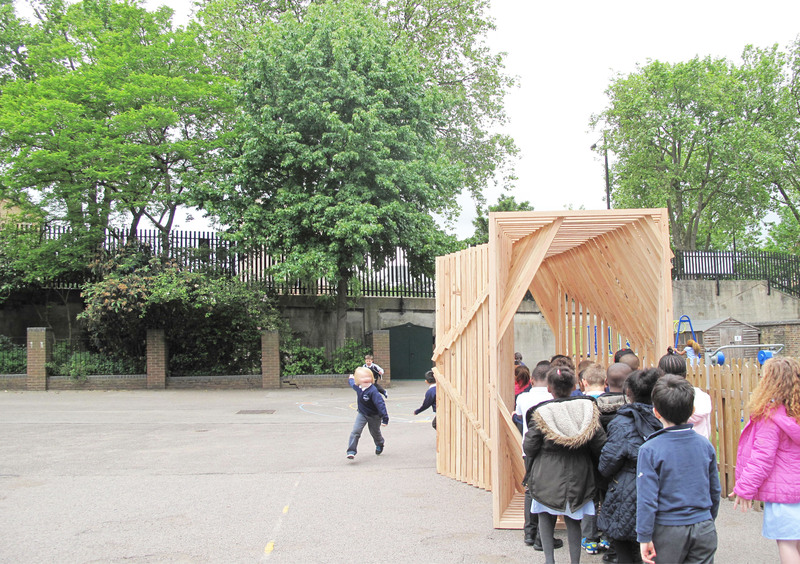 The students’ original brief was for a Tunnel, made solely from timber battens. Scale, proportion and how a person might enter and pass through a tunnel were explored during a charette that was run for a day. 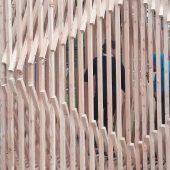 The winning proposal was for a 3.6m long assembly of 36 square timber section frames of 2.4m high by 1.2m wide with corner cross bracing. These act as both connections for the frames as well as to create a straight diagonal path within a staggered shell. The ‘making’ assumed no prior experience in carpentry or craftsmanship. Screw fixing by drill made the process accessible to all, promoting a collaboration and inclusiveness from manufacture through to assembly. 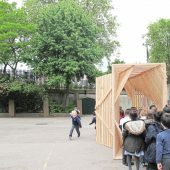 The exact siting of the tunnel within the school playground required careful consideration and opened up an interesting dialogue between the school and the students. Research Question: To design a tunnel that can be constructed by lay-people that investigates scale, proportion and how people might interact with it. The project was designed during a one day design charette.